The hand gives us the ability to grip and feel so we can explore the world around us, feed and dress ourselves, communicate with others, write, use tools, and the list continues. The wrist links the hand to the arm and, with the other joints of the upper limb, it allows movement of the hand around the body. 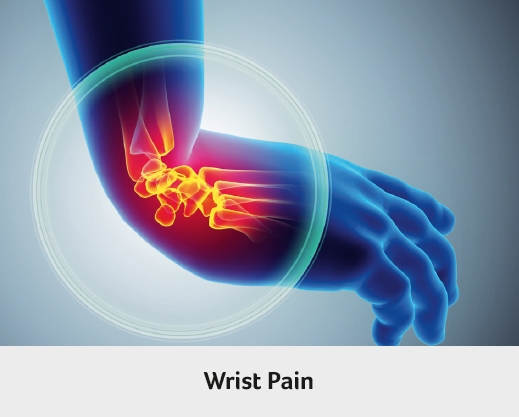 Hand and wrist pain can result from a number of factors including fractures (bone injury), ligament and tendon problems (soft tissue injury), and degeneration due to previous injury, manual work, inflammatory conditions and/or aging. Impairment of wrist and hand function can have a major impact on daily activities. Each hand and wrist is made up of 27 bones. The finger bones or phalanges comprise of 14 bones – 2 in the thumb and 3 in each of the other four fingers. We humans have opposable thumbs which allow up to grasp objects. 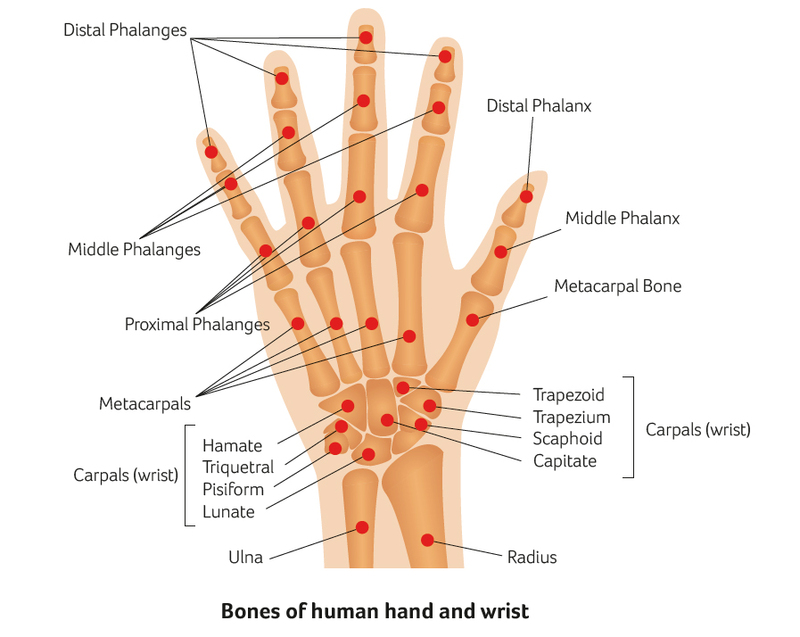 There are 5 bones in the palm called metacarpal bones. The hand is attached to the forearm by a joint called the wrist or carpus. 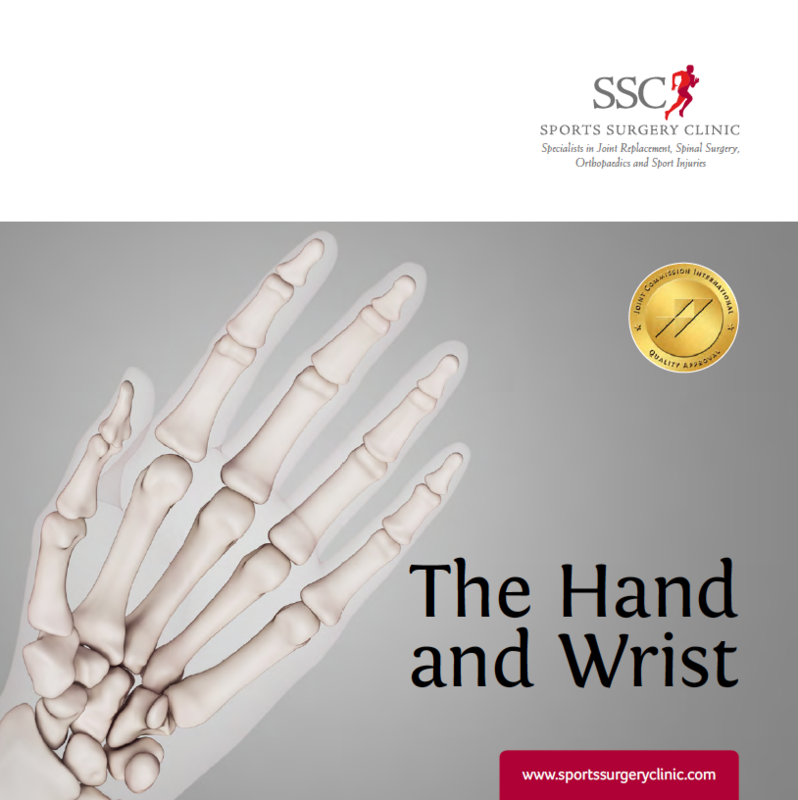 The wrist joint is a complex system of 8 small bones known as the carpal bones linked by ligaments. The wrist acts as a type of pivot joint moving in relation to the forearm bones, the radius and ulna. It allows up (extension) and down (flexion) and side-to-side movement of the hand. The muscles that move the wrist and hand are in the forearm and their tendons run down to the wrist and fingers. There are small muscles in the hands responsible for some movements of the thumbs and fingers. 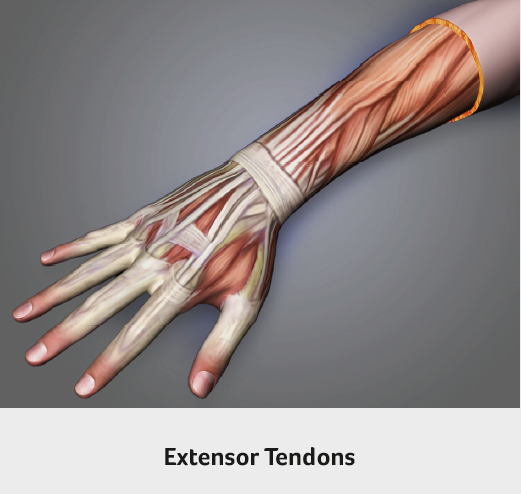 On the anterior side are the flexor tendons and on the posterior side are the extensor tendons. These tendons are enclosed in tendon sheaths which are lined with synovial cells that produce fluid. The sheaths minimise friction and facilitate movement. Tendonitis occurs when tendons become inflamed (tendinits). Pain at the base of the thumb occurs with excess loads such as unscrewing the tops off jars, and pinch grip. Arthritis is very common particularly in women over 50 years. In men, thumb base arthritis is usually due to a previous fracture. Bony swelling may be present and pressure at the thumb base is often painful. X-rays show bone-to-bone contact with osteophyte (extra bone) formation. Treatment is tailored to each individual patient and needs detailed discussion with your surgeon. Options include steroid injections and splinting, removal of damaged bone using tendon as a spacer, and different types of joint implants. 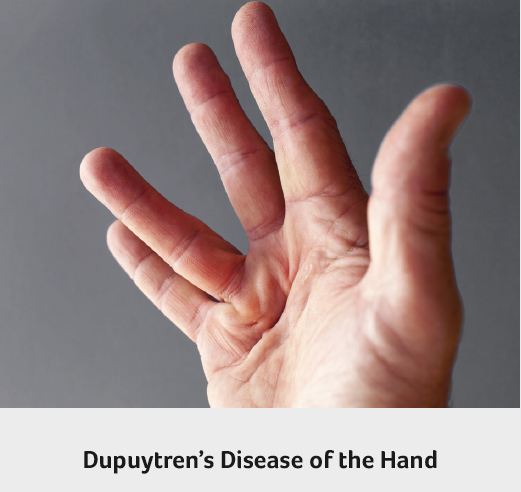 Dupuytren’s disease, also known as “Celtic Hand”, presents with thickening of the palm cord-like structures gradually extend into the fingers. These cords can cause the fingers to bend into the palm. Many people have a family history of the condition. Indeed the most common cause is genetic (inherited), but the condition has been linked to many other conditions including diabetes, excess alcohol intake, epilepsy and/or its treatment. The “Table-top test” is a simple test to evaluate the severity of the hand contracture. The patient is asked to place the hand flat on the table. If they are unable to do so then it is likely that they may need surgery. Surgery is followed by a period of splinting and hand therapy. The median nerve and tendons that flex the fingers pass from the forearm into the hand through a narrow passage called the carpal tunnel. 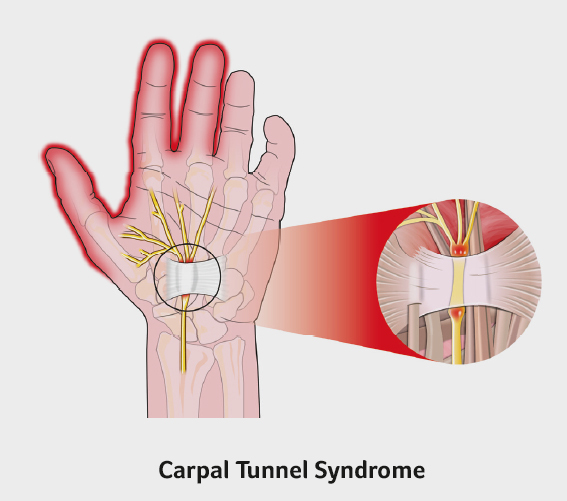 When there is a build up of pressure in this tunnel the nerve becomes squashed and causes symptoms of carpal tunnel syndrome. Symptoms include pins and needles in the thumb, index and middle fingers. This is often worse at night. 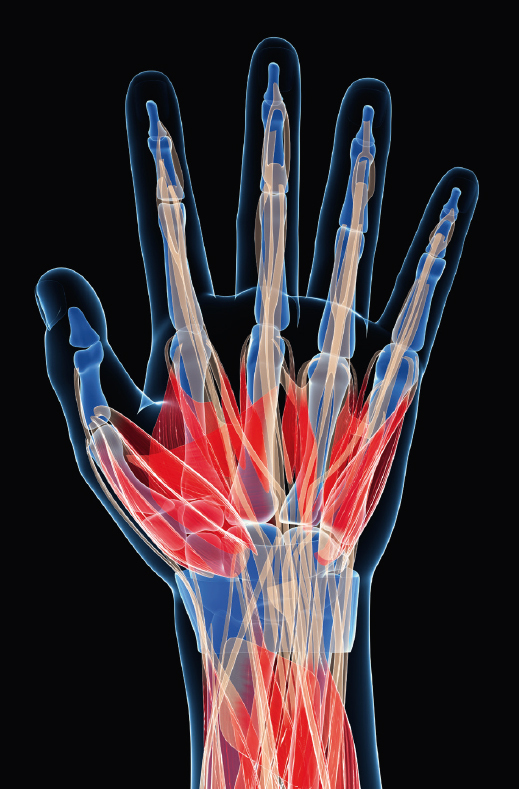 In severe cases the muscles at the base of the thumb can waste away, The cause is unknown but some condition predispose to Carpal Tunnel syndrome including pregnancy, thyroid disease, wrist arthritis and injuries. The diagnosis can be confirmed with nerve conduction studies and treatment can range from night splints to surgical release of the nerve. DeQuervain’s disease is inflammation of the tendons passing from the back of the wrist into the thumb. Patients complain of pain and swelling on the thumb side of the wrist. They may have clicking and “crunching” of the tendons in the tight tunnel as they move the thumb. It most commonly occurs in weightlifters and in postpartum women as they repeatedly lift their new baby. Treatment starts with thumb and wrist splinting, steroid injections and occasionally surgery. With this condition patients complain of locking of the finger/ thumb. 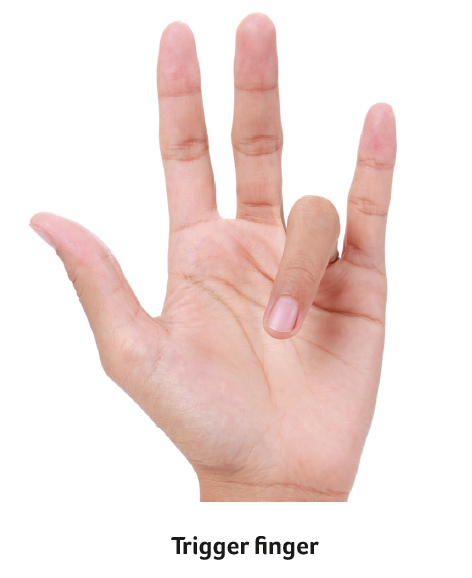 The fingers fully bend (flex) but on attempting to straighten the finger/thumb locks in a flexed position. There is often a painful nodule at the base of the finger/thumb. It is caused by inflammation around the tendon in its sheath or development of a nodule that gets stuck at the opening of the sheath. Steroid injections may help with inflammation and allow movement but most patients require surgical release of the opening of the sheath to allow smooth movement of the tendon. 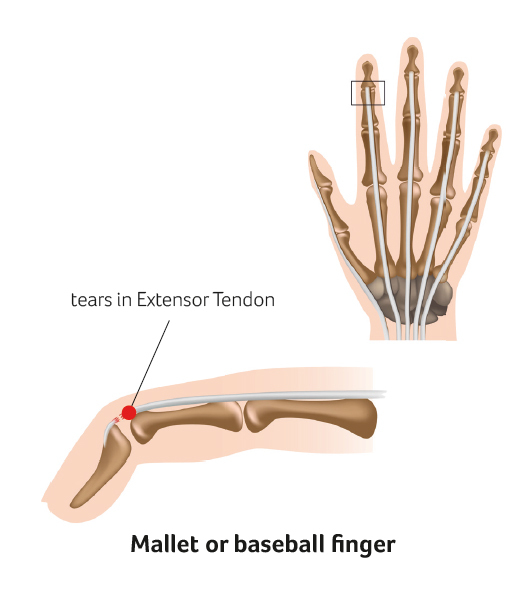 A mallet or “baseball” finger occurs when the finger is forcibly stubbed and the end finger joint (distal interphalangeal joint) is suddenly bent forwards. The extensor tendon on the back of the finger is pulled off the bone, sometimes pulling a fragment of bone with it. The patient cannot straighten the end of the finger and the joint is held in a bent position. Most cases can be treated with splinting for up to 8 weeks. However older injuries may require surgical repair of the tendon back onto the bone and temporary wiring of the finger to allow healing. This injury occurs in rugby and other sports. The player grasps an opponent’s jersey and the fingertip is bent in a hooked position. His opponent breaks the tackle causing a forcible bending back of the finger, rupturing the flexor tendon at the end of the finger. The player is unable to bend the end finger joint. These injuries are best treated within the first two weeks after injury. The tendon is repaired back to bone followed by a period of splinting and rehabilitation with a hand therapist. This injury is the second most common upper limb injury. The acute injury occurs as the thumb is twisted and the inner metacarpo-phalangeal collateral ligament is ruptured. Patients complain of pain on the inside of the thumb and also a sense of weakness of the thumb, due to instability. Surgical repair or reconstruction of the ligament is required to restore stability and avoid arthritis of the joint in later years. A wrist ganglion is a fluid filled sac that can occur on the back(dorsal) or front(volar) side of the wrist. The fluid inside is clear and thick. 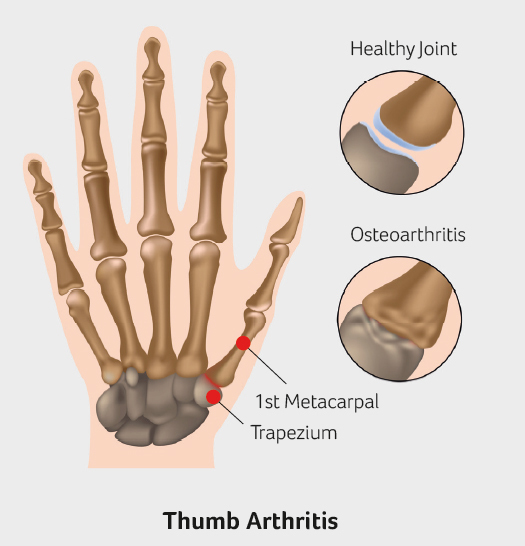 They are thought to occur due to changes in the capsule or lining of the joint and are not necessarily related to arthritis. 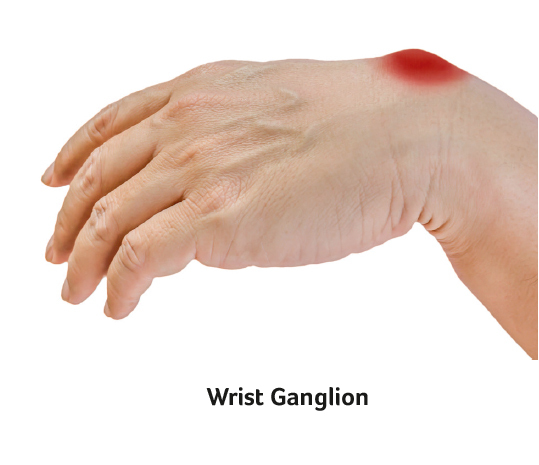 The ganglion may arise from the wrist joint itself or through a ligament of the wrist. There may be other smaller “sister cysts” related to the original ganglion. Some cysts may be amenable to aspiration and removal of the fluid with a needle. Others or recurrent ganglia are treated with surgical excision. Scapholunate ligament rupture is the commonest ligament injury in the wrist. The ligament links the scaphoid and lunate bones together. Injury usually occurs with a fall onto the outstretched hand and wrist. Patients complain of central pain on the back of the wrist with clunking and a feeling instability. X-rays may show a gap between the two bones but MRI scans show the degree of damage to the ligament. Treatment is tailored to each individual patient based on the severity of the injury and needs detailed discussion with your surgeon. Options include steroid injections and splinting, arthroscopy and open surgical reconstruction of the ligament. 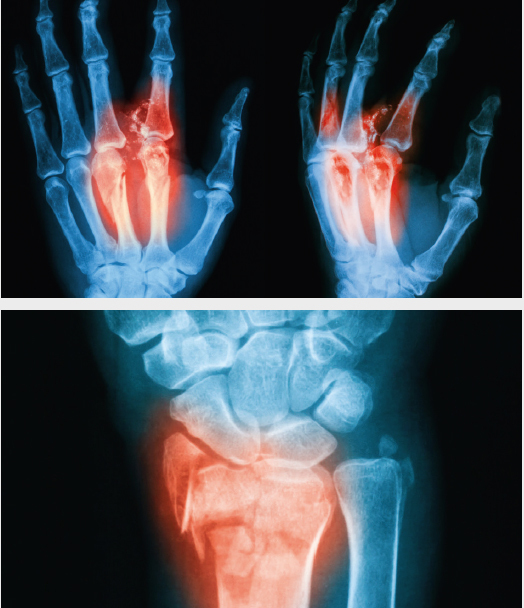 Full ligament ruptures if left untreated can cause arthritis of the wrist. 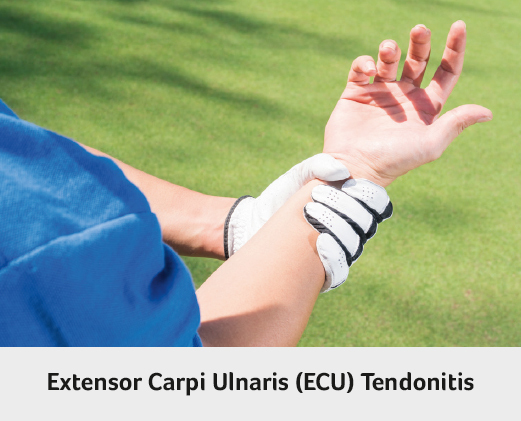 ECU tendinitis is inflammation of the wrist tendon on the little finger side of the wrist. Patients complain of wrist pain and loss of grip strength. Pain is worsened by rotation of the wrist and the “dart throwing” wrist motion”. Golfers and any racquet ball players are at risk injury and inflammation of this tendon. Ongoing pain may be due to rupture of the tendon sheath that holds the ECU tendon in place. If the sheath is torn, the tendon can roll in and out of the tendon groove, known as subluxation. The patient complains of a painful snap as the tendon rolls out with the palm down motion in the downswing during golf, for example. Tendonitis symptoms usually settle with conservative treatment such as rest, splinting and injections. Rarely surgery may be required to repair the ECU and surrounding tissues. TFCC is a soft tissue structure that connects the two bones in the forearm, the radius and ulna, at the wrist. It stabilizes the wrist joint and shares the load going across the wrist. The TFCC may be injured in two ways: either by injury (traumatic tear) or by wear and tear over time (degenerative tear). Tears may be caused by a fall on the outstretched hand or sudden forceful rotation of the forearm such as when using a power drill. Sports at risk of causing these injuries included yoga, tennis, golf, and gymnastics. 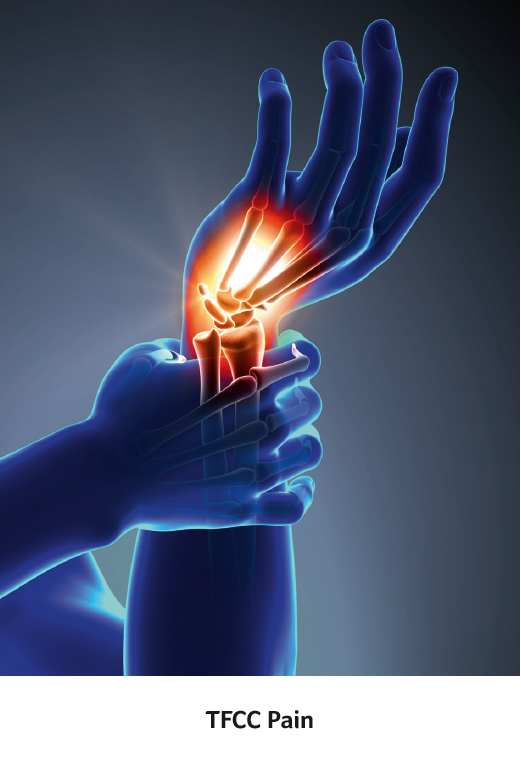 Patients present with pain on the inner (ulnar) side of the wrist which may be associated with swelling and clicking. MRI scans are the best test for imaging the TFCC and identify full or partial tears. In the early stages, symptoms may be treated with splinting, activity modification and steroid injections. Arthroscopic or open surgical shaving or repair may be required for patients with ongoing symptoms. Fractures can occur following a fall causing bone injury alone or with joint displacement and ligament damage. If fragmented or displaced, the damaged bone may require open surgical repair with plates and screws or wires. Scaphoid fractures have a special blood supply that cause may cause these fractures to have healing problems – these may be treated with bone graft as well as screws. 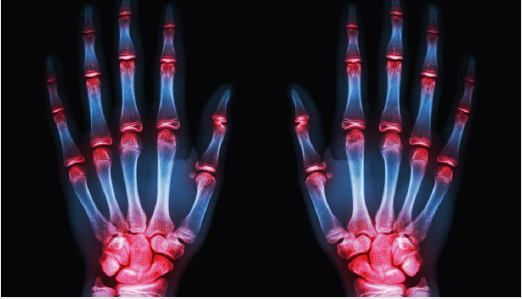 Inflammatory Arthritis such as Rheumatoid and Psoriatic arthritis, as well as osteoarthritis, can damage the multiple joints of the hand and wrist as well as the surrounding structures. They can cause damage to the articular surface of the joint. “Locking” of the joints can occur if fragments of bone break off the elbow and become lodged between the moving parts of the joint, causing reduced movement and pain. Synovitis or inflammation of the lining of the joints is seen with both conditions. Arthroscopic or key-hole surgery can wash out the wrist joint and allow your surgeon to remove loose pieces of bone or cartilage with small instruments. Synovitis of the lining of the wrist joint can be shaved away to give pain relief. Wrist, thumb base and finger joint replacement or fusion is recommended for patients with pain who have failed to respond to other treatments. This choice of treatment is tailored to each individual patient and need detailed discussion with your surgeon. The orthopaedic evaluation of your wrist and hand consists of three components: + Your medical history to gather information regarding current complaints, symptoms, pain and effect on your activities; previous injuries; previous treatments with medications or surgery + Physical examination to assess any swelling, tenderness, range of motion, weakness, instability and/or deformity of the hand and/or wrist + Diagnostic tests, such as x-rays or ultrasound of the hand and wrist; Magnetic resonance imaging (MRI) may be useful in assess soft tissues e.g. ligament injuries; Computed tomography (CT) scan is used to assess the bony parts of the hand and wrist. Arthroscopic or “key-hole” surgery is where your surgeon inserts a thin, pencil sized camera with a lens and lighting system, into your joint through small incisions. The camera captures images that are viewed on a TV monitor allowing the surgeon to make a diagnosis. Using other arthroscopic instruments, repairs can be carried out depending on what is required. Open surgery may be necessary depending on the cause of your hand or wrist problem. Incisions of varying lengths and locations are made to facilitate the open surgery based on the specific procedure. Rehabilitation is essential to maximize the success of any hand/wrist surgery, and commitment to a structured rehabilitation programme is a fundamental part of your recovery. Recovery and rehabilitation is related to the type of surgery performed inside the hand and wrist and should be closely followed in consultation with your orthopaedic surgeon and chartered physiotherapist/hand therapist.